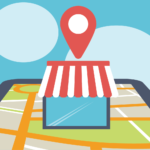 Google My Business has made changes to how it handles a service area business. 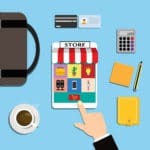 Businesses that either deliver to or service local customers within a geographic region are affected. A business that visits or delivers to customers, but doesn’t serve customers at its business address (e.g. a plumber or cleaning service). A business that serves customers at its business address, but also visits or delivers to customers (e.g. a restaurant that also delivers food). Previously you could enter a business address (kept hidden if you wished) and set a service area radius around your address. This is no longer the case. 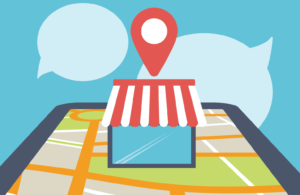 You can no longer set a service area as a set distance from your business address in Google My Business. If you have previously entered a service area radius, you will need to update your service area. Google now wants you to specify your service area by region, city or postcode. There are now separate fields for you to enter your business address and your service area. When you update your information (we suggest you do this ASAP), you will have the ability to enter a business address, service area or both. If you do not serve customers at a business location, leave this field blank and only enter your relevant service area. If you have both a business address AND also have a service area, make sure you enter both. A small change that Google hasn’t announced as a result of this update. If you enter a business address there is now no option to keep it hidden. Though with the changes to service area function this is, of course, redundant. Google now wants you to specify your service area by region, city, or postcode. 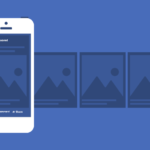 Via the menu, click info. Enter the service area information for your business by region, city or postcode. Google My Business is generally pretty quick to apply changes, however, it does warn it could take up to 3 days. 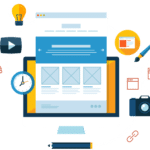 But what do you do if your business covers a large geographic area, multiple cities, and many postcodes? 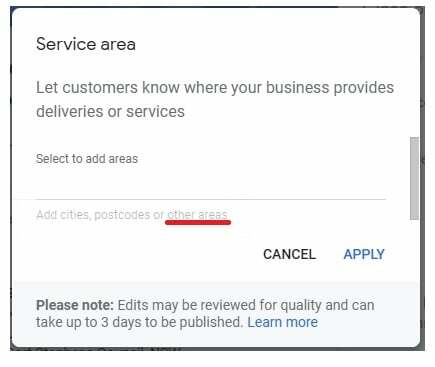 If you choose to list your service area by City, it is currently not clear the exact region a city listing may cover. 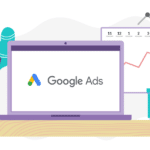 Does Google instead want you to list every single town or postcode that your business services? 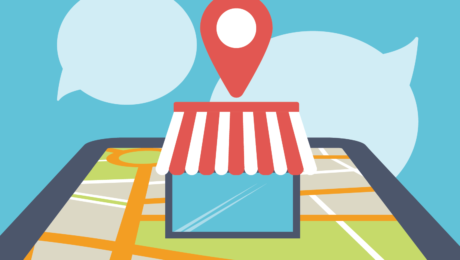 So what is the best approach to listing your businesses service area? Within other areas, Google includes Council regions. 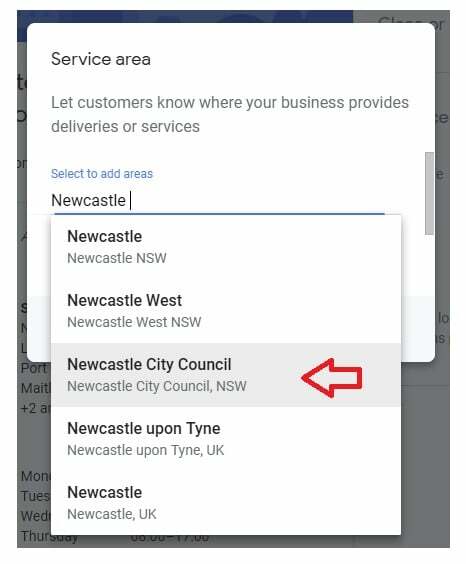 Instead of the cities, you service e.g Newcastle, NSW, you can select a region by council e.g Newcastle City Council, NSW. This allows you to better control the geographic service area you select without having to list every single postcode you service.